Due to the broadcast of the PBS NewsHour coverage of the State of the Union Address, American Experience: Sealab has been moved to February 12. It will air at 9pm on CET and ThinkTV16. 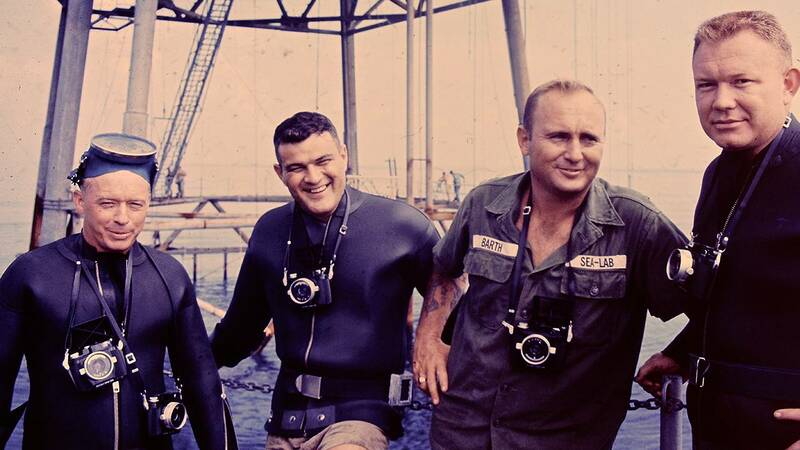 This documentary tells the mostly forgotten story of the U.S. Navy’s daring program that tested the limits of human endurance, revolutionized the way humans explored the ocean and laid the groundwork for undersea military missions to come. In the spring of 1964, Scott Carpenter — already famous for being the second American to orbit the earth — was preparing for a new mission, not into space as an astronaut but into the sea as one of the Navy’s newly-minted “aquanauts.” Divers who attempted to chart the ocean’s depths faced barriers that had thwarted humans for centuries: near total blackness, bone-jarring cold and intense pressure that could disorient the mind and crush the body. Aboard Sealab, Carpenter and his fellow explorers would attempt to break through those barriers – going deeper and staying underwater longer than anyone had done before. An audacious feat of engineering — a pressurized underwater habitat, complete with science labs and living quarters — Sealab aimed to prove that humans were capable of spending days or even months at a stretch living and working on the ocean floor. Their daring exploits were beginning to capture the nation’s attention, but a deadly tragedy would prematurely end their pioneering work. Watch the first chapter of the film below!